Military Retirement Update: Welcome to the TSP! The Pentagon is supporting major changes to the military retirement system that would result in a less generous pension for career service members, but potentially greater overall retirement benefits. 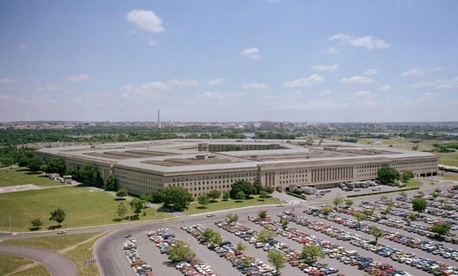 The Defense Department’s proposal advocates a blended retirement system composed of a defined benefit and greater participation in the Thrift Savings Plan, the government’s 401(k)-type program, with the aim of creating a better mix of benefits and retention rates. The plan, which the department sent to Capitol Hill on Wednesday, is similar to the changes recommended by the nine-member independent Military Compensation and Retirement Modernization Commission. Under the proposal, which would take effect in January 2018, approximately 85 percent of service members would receive some kind of retirement benefit. Members who serve for 20 years would receive 80 percent of their pension “as well as the opportunity to achieve nearly equivalent or better retirement benefits when they reach retirement age,” according to the white paper outlining the recommended changes. A summary of the proposal called the current defined benefit within the military’s retirement system “a significant incentive to retaining a career military force” that “has served us well for decades.” The proposal is “a momentous change to a tried and true system,” the white paper said. The Pentagon began looking at switching to a blended retirement system in 2011, and shared many of its ideas with the Military Compensation and Retirement Modernization Commission. The Pentagon would automatically enroll new troops into the Thrift Savings Plan at 3 percent of their pay with a 1 percent government match, similar to the way it works now for federal civilian employees. Vesting would occur after two years of service. Military members currently can contribute to the TSP, but are not enrolled automatically and do not receive a matching contribution from the government. The government match could go as high as 5 percent, if the service member contributed that amount. Current military retirees, active-duty members and reserve troops would be grandfathered into the current retirement system, but could opt into the new blended program. The Pentagon would not make any changes to disabled retired pay under the plan. Now, personnel who serve less than 20 years—about 83 percent—do not receive a defined benefit, which some believe is unfair given their multiple deployments during the wars in Iraq and Afghanistan. Those who do spend a career in the military can hit the 20-year mark relatively early, retire from service in their 40s or 50s, draw a pension and work elsewhere for a while. About 17 percent serve 20 years or more in the military. The Defense proposal would allow each military service to determine when, to whom, and how much continuation pay – an incentive to encourage members to stay in the military – to offer to service members. The individual services could offer the special pay any time between eight and 16 years of service, which is more flexibility than the House fiscal 2016 Defense authorization bill offers. That legislation, which the House passed in May, included a provision to provide continuation pay after 12 years of service at specific amounts.